Find here Urban Couture coupons and deals. 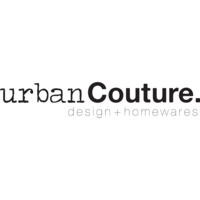 Urban Couture offers designer furniture and homewares pieces manufactured locally and from around the world. We sell a wide range of products, from cushions, candle holders and trays to sofas, dining tables and beds. We are well established within the design industry and our key demographic is men and women over 25 years of age. We love to connect with our community and have a strong social media presence, with over 100,000 followers on Facebook and Instagram combined.